Hey there everyone, hope all is well. Clarice and I have been on our own the last few days because Matt and Lance went to visit family in Virginia. Clarice isn't much a traveler, so we opted to stay home. We've had lots of fun together and stopped just short of putting curlers in our hair and hanging out at the laundry-mat. I found out about The Good Girl from another blog I read. I opted for the audio version, and I am so glad I did because one of the main readers was Johnny Heller! Love him! 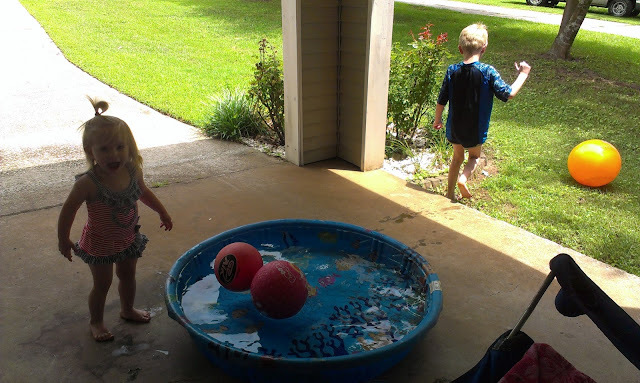 We have been to the big indoor pool numerous times lately, but we occasionally just set up the kiddy pool in the carport. 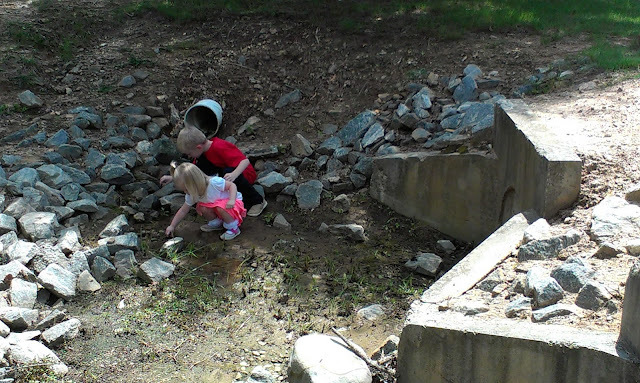 Whenever we go to the Grayson branch library, the kids love to play in an almost dried up creek near the parking lot. 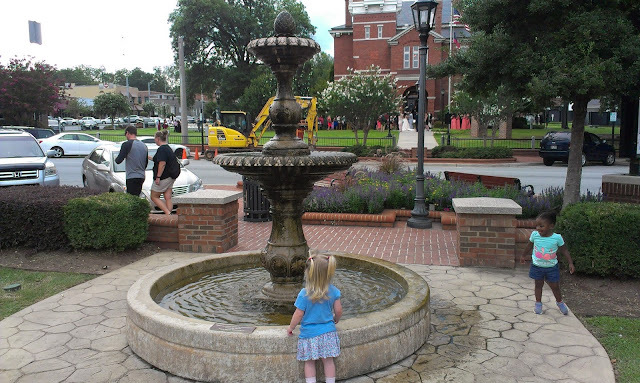 The other day Clarice and I stopped by the Mexican restaurant to get a to-go order and were able to witness a wedding procession across the street at the court house. Hope you all have a great week. Talk to you soon.